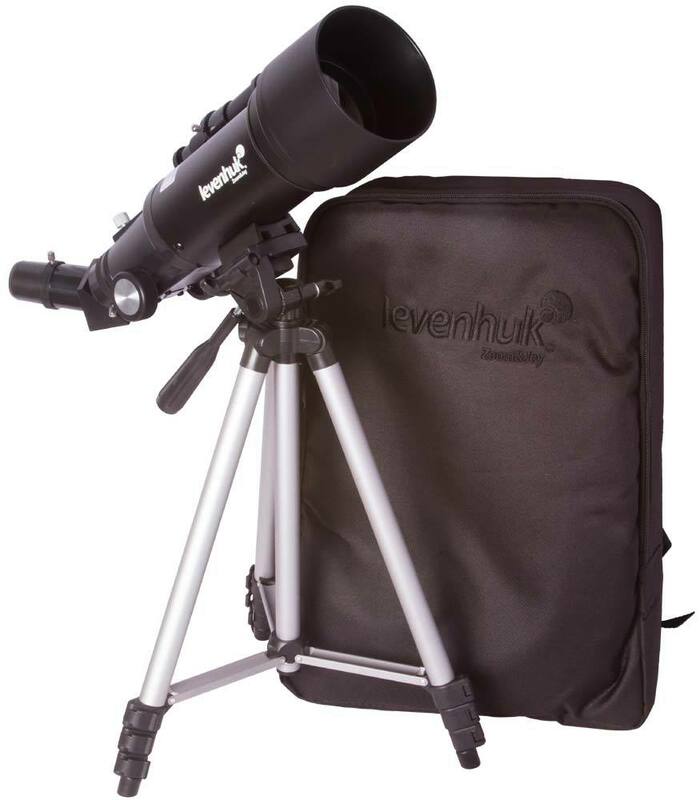 Levenhuk Skyline Travel 70 Telescope is a compact and lightweight refractor with an alt-azimuth mount. This telescope is portable: you can take it with you for observations in the countryside. It comes with a backpack where the telescope, its mount, optical accessories and a tripod perfectly fit in. 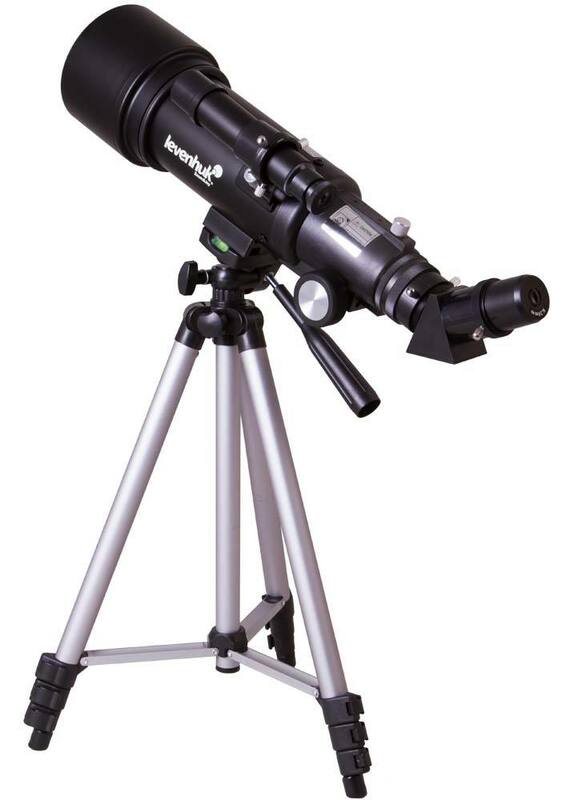 This telescope is perfect for observations of the Solar System planets and the Moon. It can also be used as a spotting scope for terrestrial observations. 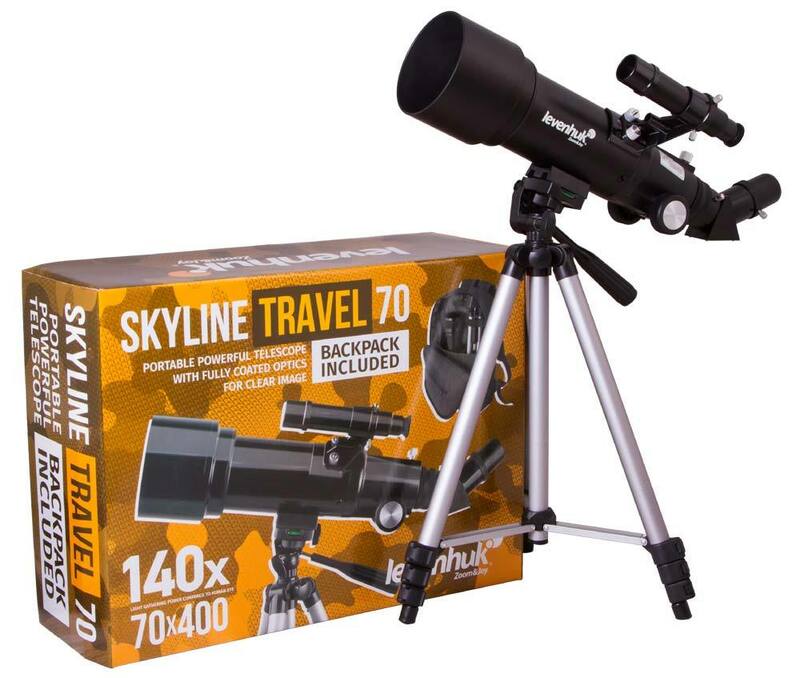 You will be able to view deep space with Levenhuk Skyline Travel 70 as well. The main feature of Levenhuk Skyline Travel 70 is a shortened optical tube. It is almost half the size of most refractor tubes. Due to this feature, it is convenient to take anywhere – it does not take up much space. Besides, it is not heavy– the telescope design is lightweight. The mount is easy to handle and is effortlessly assembled and handled, even by a beginner. To point a telescope to the desired object on the celestial sphere, you just need to turn its tube along an altitude or an azimuth axis. The tripod is made of light aluminum and has adjustable height. 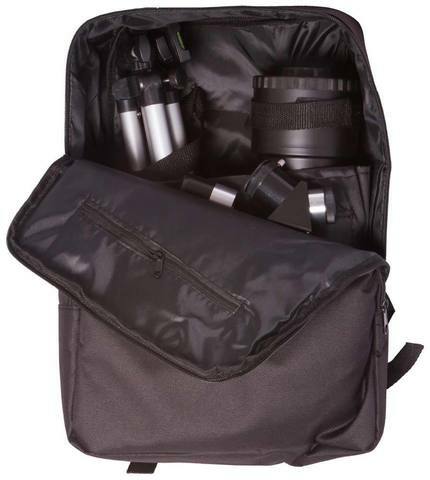 The kit includes all the accessories for observations: an optical finder, a Barlow lens and two eyepieces. The maximum magnification with the optics included is 120x.